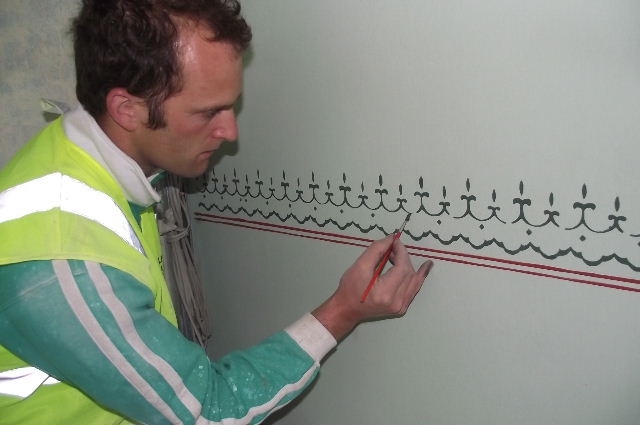 Stencil work at IWC Portumna | Mathieu & Mitchell Ltd.
Over the years the walls had received numerous coats of modern paints and sealers. 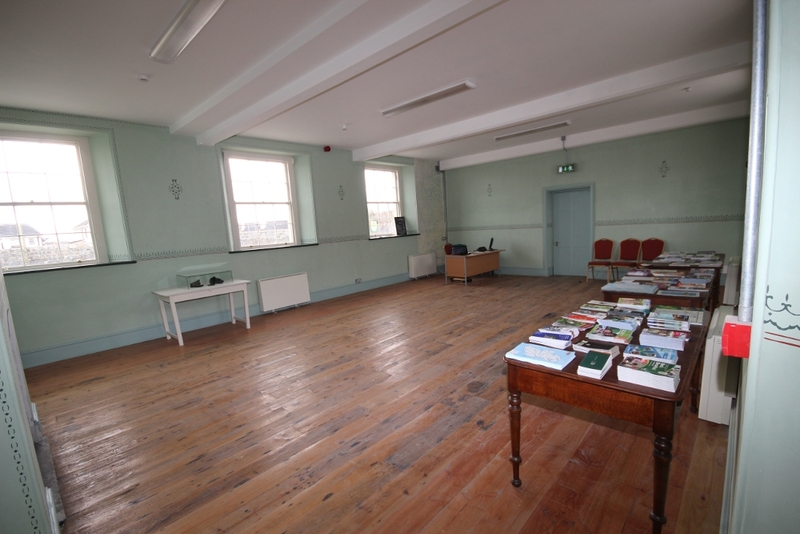 The room had been divided and sections of the plaster were damaged where the partitions met the outer walls. 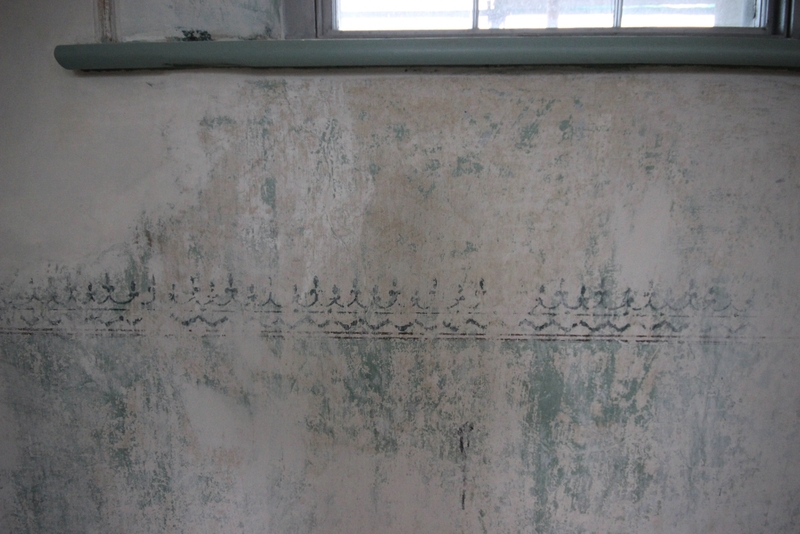 Paint had peeled off revealing details of the original stencil work. 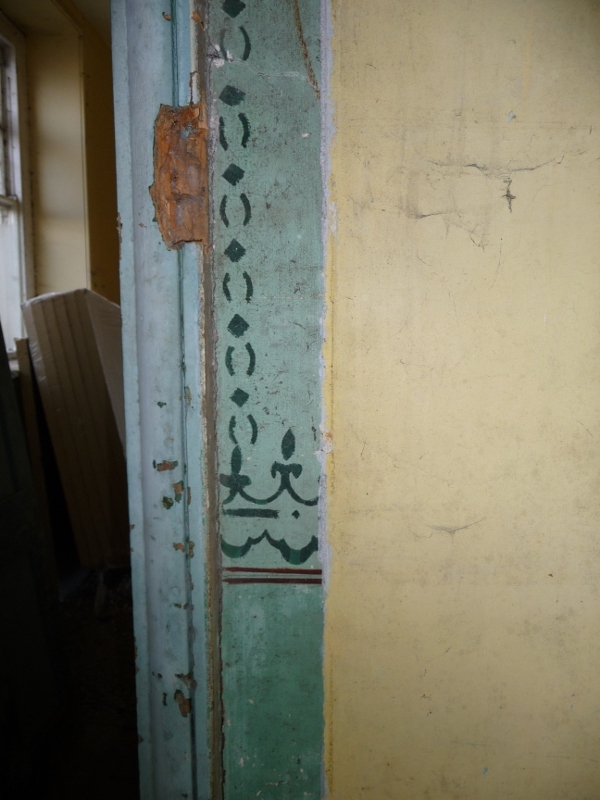 The modern paint had to be carefully removed from the walls with appropriate tools. 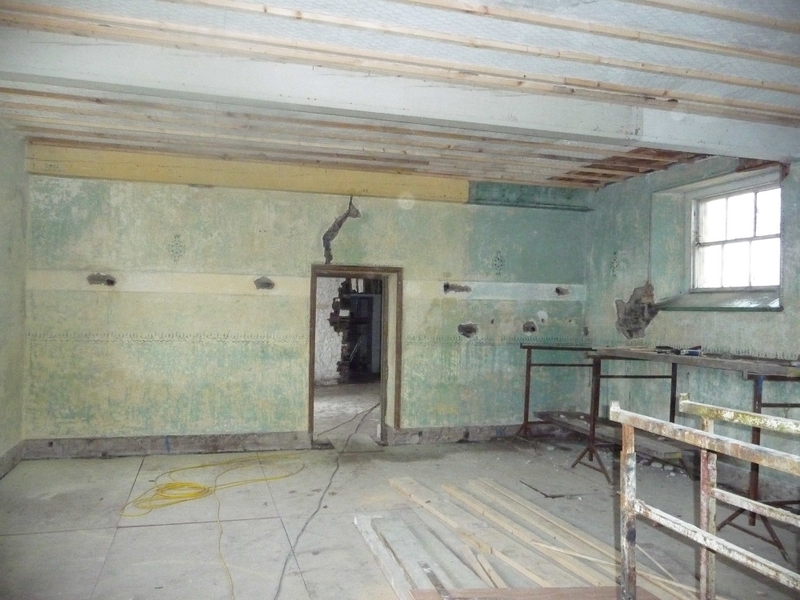 Care had to be taken so that the existing traditional lime finish coat was left undamaged. Some areas around the door going to the entrance had to be replastered using a traditional lime plaster, a scratch coat of 15mm, a finish coat of 5mm and lime skim coat (lime putty and fine sand) 3 mm thick. 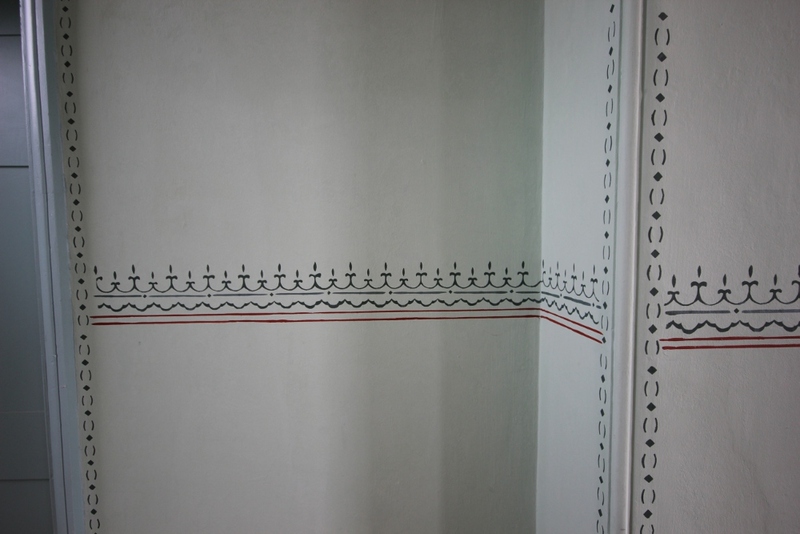 The walls in general had to be made good and ready for the breathable lime based paint and the stencil work reproduction. Using tracing paper we made a template of the existing stencils. By closely examining the stencil work we were able to re-make the template the same as the original. 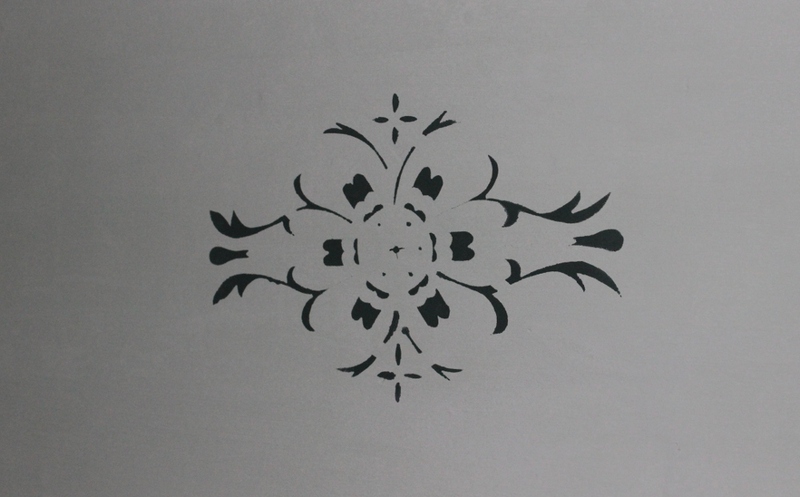 This was a very important stage of the work as a very correct modern style template with sharp and well defined edges would have resulted in modern looking stencil work. 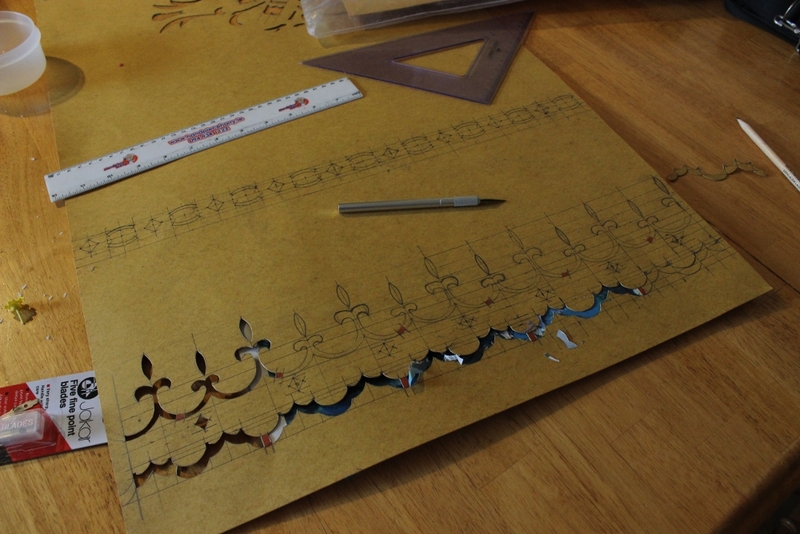 We then had to draw the template onto waxed paper and cut it out using a razor. 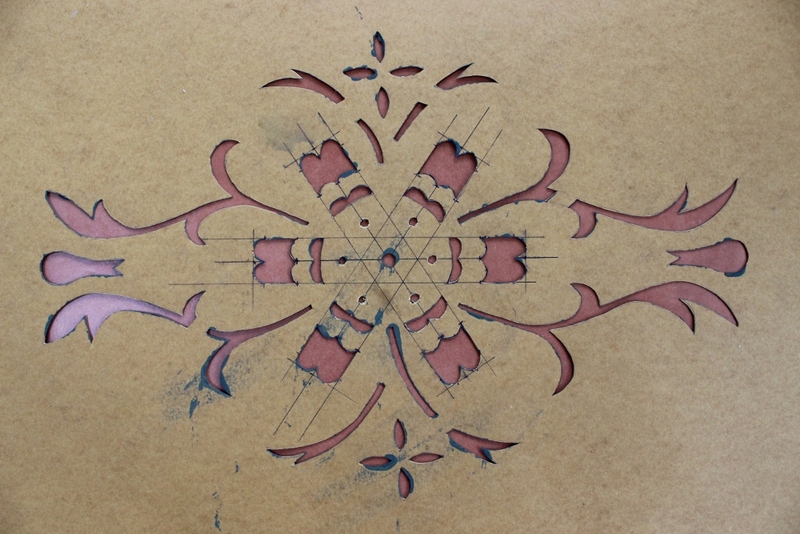 When we were happy with the stencil we made a few samples using different types of rollers, stencil brushes and sponges. A rotating laser level came in handy to give us a virtual level red line all around the room. 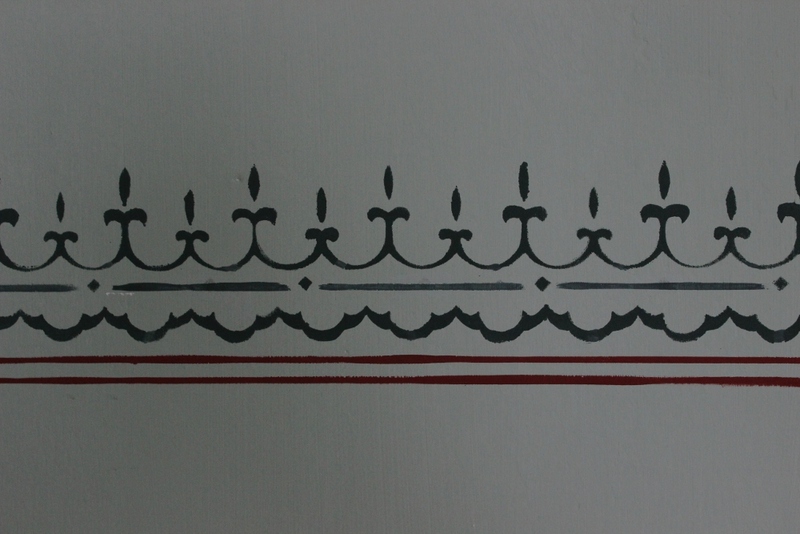 When the stencil work was complete the red lines and the stencil bridges were painted freehand.